What does the two copper mountains of Zechariah symbolizes? What does the two copper mountains of Zechariah symbolize? The Watchtower of October 2017 contains two articles of study for the last two weeks of December. The two articles deal with the fifth and sixth chapter of the book of Zechariah. As usual, the explanation given by the Watchtower is insufficient: the redactors have totally watered down Chapter Six. Indeed, in the Bible mountains can represent kingdoms or governments. Verse 35 tells us that the stone that struck the image became a large mountain. Where does this stone come from? Verse 45: "out of the mountain a stone was cut…". This statement from the Watchtower is therefore correct but can not apply to the mountains of Zechariah. Copper mountains can not represent the rulership of Jehovah and Jesus. Jehovah's rulership is always represented by gold, and this is why Jehovah's presence in the tabernacle, that is, the ark of the covenant, is made up of gold and not in another metal. Here, they have degraded Jehovah’s quality. First of all, is copper highly valued? See the list below with the value of the metal per gram as on the date of the writing of this article. Observe that silver is next to gold but not copper. In Olympic Games, there is bronze medal, but not copper. So bronze has more value than copper. Even that simple thing, the Governing Body in unable to comprehend. They have no insight of why the vision speaks of copper mountains, so they have only commented that Jehovah directed that this shiny metal to be used in the construction of the tabernacle. They once again degraded Jehovah and his thought. Is Jehovah behind only shiny things or what is physical, just as common man? Is not silver much shiny than copper? Though we see that the Watchtower’s explanation is purely from the materialistic standpoint, still it is wrong, because silver and bronze are much shiny than copper. 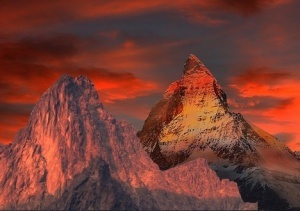 Appropriately, then, the copper of the two symbolic mountains reminds us of the excellent quality of Jehovah’s universal sovereignty and of the Messianic Kingdom, which will provide stability and blessings to all mankind. This is totally wrong: does copper symbolize excellent quality when actually it is gold? Which will provide stability? Is copper a stable metal? In fact again gold is stable. Suppose that you put copper into the soil and wait for one week: it has turned into blue or blue green in colour which is cupric oxide (CuO). Is it stable? But if you put gold for a month deep inside the soil and recover it at the end of this time it would have become muddy but when washed is the same as original; hence gold is stable not copper. Since copper is a representation of Christ’s kingdom, do you think that this kingdom is inferior to the copper kingdom mentioned in Daniel 2:32? Why all these mistakes? In fulfillment of Isaiah 42:19: “Who is blind except my servant?” Because of this blindness, our publications in recent years have focused on lessons from biblical stories rather than trying to find typical and antitypical patterns and fulfillment. The Governing Body itself has acknowledged that it is neither inspired nor infallible. The two symbolic mountains do not represent one for Jehovah and another for Jesus. Remember, the ark of covenant, the symbolic presence of Jehovah, is made up of gold but outside the Most holy place is copper as described in Exodus 27th chapter and 1st Kings 7th chapter. 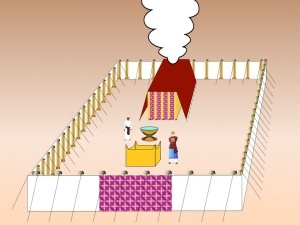 Now take Exodus: 30:18: Jehovah spoke further to Moses, saying: “Make a copper basin and its stand for washing; then place it between the tent of meeting and the altar and put water into it”. First let’s think why Jehovah was instructing to place it between the tent of meeting and the altar? Why? Verses 20 & 21 give the answer: so that they do not die. They must wash their hands and their feet so that they may not die. For whom the copper vessel and water are kept for cleansing? For the Sons of Aaron that is the priests. Now consider the illustration. The appointed priest, as he enters the entrance of the outer court, first sees the altar. What does it mean? It means sacrifice first. The high priest make a sacrifice for himself like any other Israelite. After the sacrifice on the altar he is now ready to act as a serving priest inside the Most holy but he cannot do so until unless he washes himself in the water kept in the copper vessel. That is why the copper vessel was placed between the door of the Holy Place and the altar. The copper vessel served for one great purpose that is for washing and cleansing of the priest from all physical defilement. How this is applicable in Christian setting and how it helps us to understand the two copper mountains of Zechariah 6th chapter? First of all let’s know why the water is kept in the copper vessel. Take the physical copper. According to a 2012 study published in Journal of Health, Population, and Nutrition, storing contaminated water in copper for up to 16 hours at room temperature considerably reduces the presence of the harmful microbes, so much that the researchers inferred that “copper holds promise as a point-of-use solution for microbial purification of drinking-water”. Can you now get the point? In Jehovah’s temple the water is stored in copper vessel for washing the hands of the priest before starting his service into the Most holy place. Now just think as everyone knows that it is important to wash our hands with soap before eating. What if the water used for washing is contaminated? It is of no use just using soap. So water kept in copper vessel means, the water that is used for washing must be clean and then used for washing. In Christian setting sacrifice means to give up all fleshy and selfish desires for the sake of Jehovah and the kingdom of Christ. Then the person has to believe in the ransom sacrifice of Jesus. Now after washing the priest enters into the holy place. In Christian setting how a person is washed in water from the copper vessel? Where is water kept without contamination so that a person can wash? First of all in Christian setting how the water should be understood? Only if you know what is water then you will automatically know what is copper. Jesus answers at John 3:5: “unless anyone is born from water and spirit, he cannot enter into the Kingdom of God”. Which water Jesus was referring to? Was he referring to physical water so that it can be used for cleaning? Jesus directly says at John 17:17: “Sanctify them by means of the truth; your word is truth”. So, here the word of Jehovah is truth that is like pure water. But that pure water should not be contaminated by toxic microbial like influence of Satan and that is why Jehovah’s word is put in Jesus; it is like water kept in the copper vessel in the tabernacle of God. John 3:34,35 confirms it: “For the one whom God sent speaks the sayings of God … the Father loves the Son and has given all things into his hand”. (also read John 5:19 and Isaiah 50:4) That is why Jesus could boldly declare at John 15:3: “You are already clean because of the word that I have spoken to you”, and that is what he means at John 4:13,14, 6:63 and 7:37. So the words of Jesus are like pure water and the one who contained that is Jesus himself; he is like copper vessel. Leave water but concentrate on copper. What’s the point of the copper vessel in the tabernacle here in connection to Zechariah 6:1 copper mountains? Before that it should be noted that we ourselves have drawn an analogy that Copper represents Jesus, but that should be supported in the bible. Jesus himself supports that in John 3:14,15: “And just as Moses lifted up the serpent in the wilderness, so the Son of man must be lifted up, so that everyone believing in him may have everlasting life”. Now just ask yourself what serpent Moses used? A Copper serpent (Number 21:8). Jesus draws an analogy to himself to a copper serpent hung by Moses on the stake. So now equate copper vessel with that of the copper serpent hung by Moses: it clearly refers to Jesus Christ. So Copper represents Jesus Christ. Of all the proof that Jesus is copper Revelation 1:15 directly supports as Jesus’ feet were like fine copper. Why? When he comes in the congregation just as how copper cleanses the water similarly he will clean the congregation. Again Revelation 2:18 describes Jesus’ feet like fine copper when he is speaking to Thy·a·tiʹra congregation. Many Bible translations have translated the verse at Revelation 1:15 and 2:18 as bronze, but the New World translation seemed correct. In fact there are nearly six words for copper in Greek and one among them is χάλκινο νόμισμα = chálkino nómisma but for bronze it is μπρούντζος=broúntzos. Even though some one insists that it is bronze, still it fits for Jesus. For example what is bronze made up of? Bronze is an alloy consisting primarily of copper, commonly with about 12% tin and often with the addition of other metals (such as aluminium, manganese, nickel or zinc) and sometimes non-metals or metalloids such as arsenic, phosphorus or silicon. Since Bronze is mixed metal we can compare it with Jesus because Jesus was a spirit creature before coming to earth, and when he was transferred to earth in human form he was mixed with the human gene; thus bronze fits for Jesus. Actually these additions produce a range of alloys that may be harder than copper alone, or have other useful properties, such as stiffness, ductility, or machinability. This shows that Jesus kingdom is not only made up of Jesus alone but along with 144000 taken from mankind from earth. His kingdom matches to bronze quality indicating its toughness towards evil. Well what does mountain represents in the bible? Take Daniel 2:35: “But the stone that struck the image became a large mountain, and it filled the whole earth”. Is there any physical stone that it is possible to fill the whole earth with and become a large mountain? No but the, meaning for this is interpreted in Daniel 2:44,45: “In the days of those kings the God of heaven will set up a kingdom … And this kingdom will not be passed … It will crush and put an end to all these kingdoms, and it alone will stand forever, just as you saw that out of the mountain a stone was cut not by hands…”. So mountain represents kingdom or Government. See also Revelation 6:15-17 where there are people hid in the caves and among the rocks of the mountains. And they keep saying to the mountains and to the rocks: “Fall over us and hide us from the face of the One seated” due to Jesus’ parousia as they are not able to withstand. Can anyone go and tell to the caves and mountains to fall upon them to save them? What will happen if caves and mountains fall over people? Everybody will die! That means that they go and tell their mountain-like governments to protect them from Jesus presence. So mountain represents kingdom. So the copper mountain in Zechariah 6:1 represents the kingdom of Christ. But once again read this verse: “Then I looked up again and saw four chariots coming from between two mountains, and the mountains were of copper”. It says not just mountain but mountains which is plural. So is watchtower’s interpretation of two mountains, one being Jehovah’s universal sovereignty and the other the Messianic Kingdom, correct? NO! The two mountains represents that the kingdom of Christ is not only made up of Christ alone but also the anointed ones. Even though the Kingdom of Christ also belongs to the anointed ones, still it is shown as two separate mountains in order to show that Jesus is always special because before coming to this earth as a human he was a spirit son of God and has the authority to give salvation, while the anointed ones were never previously existed as spirit creature like Jesus. They don’t have authority to give salvation as Jesus. They themselves need Jesus for salvation. But only after they become adopted sons of God. Read Romans 8:15. Therefore Romans 8:17: “If, then, we are children, we are also heirs—heirs indeed of God, but joint heirs with Christ—provided we suffer together so that we may also be glorified together”. The fact that the two mountains indicate that the kingdom of Christ is also the kingdoms of the holy ones is confirmed by what we read in Daniel 7:18: "But the holy ones of the Supreme One will receive the kingdom, and they will possess the kingdom forever, yes, forever and ever". It is to show clearly this difference that there are two mountains. Do you still have doubts that Jesus is the copper and therefore his kingdom is represented by the mountain of copper? But how can the second mountain of copper represent the kingdom when it is composed of anointed ones that come from mankind? Should not it be represented by mud or clay? Well when the anointed ones believe in the ransom sacrifice of Jesus Christ and make sacrifice and get cleaned with the word of Jesus it is as if priest in the tabernacle is washing in the copper vessel. When these anointed ones martyred during the rule of last 8th or the King of North (Daniel 12:7; Revelation 6:11) and when they go to heaven they become like Jesus himself. Philippians 3:20,21 directly tells that: “But our citizenship exists in the heavens, and we are eagerly waiting for a savior from there, the Lord Jesus Christ, who will transform our humble body to be like his glorious body”. Further 1st John 3:2 says that during Jesus’ manifestation the anointed ones will be like Jesus himself: “We do know that when he is made manifest we will be like him, because we will see him just as he is”. So if Jesus transforms the body of anointed ones as Jesus himself, they become like Jesus and that is because Jesus’ kingdom is also made up of humans taken from earth that it is still represents as copper. But still Jesus is great because it is he who gave the anointed ones the salvation and it is Jesus who transformed their body into his likeness. So the kingdom is one (copper) but to show the difference between Jesus and the mankind taken from earth transformed into spirit two copper mountains are shown (Christ’s kingdom made up of Christ + Anointed ones). Same kingdom and same metal – copper. There is also another valid reason why Jesus kingdom is represented as Copper. How the copper cleanses even the microbes in water, similarly when Jesus kingdom is established it will clean every single micro, nano, pico and femto vestige of Satan’s system. You see even in Revelation 1:15 Jesus is described as his feet were like fine copper. Why? When he comes in the congregation just as how copper cleanses the water similarly he will clean the congregation. Just take Revelation 2:18. When he is speaking to Thy·a·tiʹra congregation, again Jesus is described as that his feet were like fine copper. Why again and again the copper is mentioned? 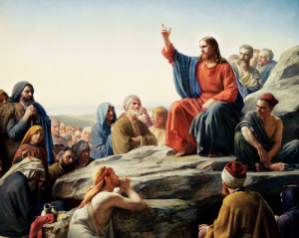 If Jesus is saying something, it means it is serious and has immense meaning. 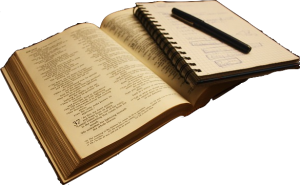 Jesus is not a novel writer to fill the pages of the Bible nor will he give unnecessary details unless until it is of utmost important that effects his very congregation. One last reason why Copper Mountain represents Kingdom of Jesus and not Jehovah’s is that the copper cleanses even the microbial part of the water. Even during the peaceful thousand years rule of Jesus Christ death is not still removed. That means the earth is not fully cleansed, so still copper is required. When Satan is freed after a thousand years rule of Jesus some will still be contaminated. Hence during his final rule still Jesus has the cleaning work to do with this earth so his kingdom is still copper. His kingdom’s main purpose is to clean the earth. Only after the earth is made clean Jesus hands over his kingdom back to his father (1 Corinthians 15:28) that is when he has taken the whole creation, especially the mankind, and entered into the Most holy. It is as if a priest washes himself in the copper water and enters into the Most holy in the presence of Jehovah. Now you may ask, brother, the fleshly priest was a man and is a sinner so he is contaminated, how can you say that Jesus acts as a priest, washing himself in the copper water before entering into the most holy in the presence of Jehovah? Well as per Hebrew 5:10 Jesus has been designated by God a high priest. But, how will he wash the hands just as a fleshly priest? Or what is the necessity of Jesus washing the hands if his hands are not contaminated by any sin? Well the answer is that the washing hands mean not physical hands. According to Colossians 1:16, by means of him all other things were created in the heavens and on the earth. That means the creation of the universe was the work of Jesus’ hands, but in the Garden of Eden the work of Jesus’ hands was contaminated by Satan (Genesis 3:4-6) thus all creation keeps on groaning together and being in pain together until now. Now take John 17:17. Jesus said: “Sanctify them by means of the truth; your word is truth”. So if any one accepts the word of Jesus (water (word) in the copper vessel (Jesus)) it is as if the work of Jesus’ hands is washed by the word of Jehovah just as the high priest of ancient Israel washed himself in the water kept in copper vessel. Finally after Jesus has given back the kingdom (1 Corinthians 15:28) to Jehovah it is like the high priest entering into the most holy which is Gold. The metal used in the most holy is Gold. Jehovah’s standard is Gold. Please consider Revelation 21:4: “And he will wipe out every tear from their eyes, and death will be no more, neither will mourning nor outcry nor pain be anymore”. Consider the timing when it happens. Satan is eliminated in chapter 20 but “death will be no more” verse occurs in chapter 21 that is when Jehovah himself sits in the throne and becomes King not even when Jesus is King. Hence Jehovah’s Kingdom is Gold, while that of Christ is copper not that is inferior but who purpose is to clean the earth contaminated by Satan. So when the Watchtower Society is telling that one copper mountain represents God’s Kingdom and another copper mountain represents the kingdom of Christ, it is totally unacceptable. Jehovah standard is always golden.